God wants your decision to follow Jesus to go beyond saying "YES" to walking with Him every day. "Growing Deep, Growing Strong" is a course designed to help you set a strong foundation in Jesus Christ. Learn about New Hope, membership, and building the community through different ministries and small groups. If you have not signed up as a member of our church, please take this course & become one! Easter is one of the most important festivals in Christianity that celebrates the resurrection of Jesus Christ. For Christians, it is a time to reaffirm their faith and reflect on what Jesus has done for them. For those who do not know Christianity, it is a good introduction to what we believe. So, come and celebrate with us. We still have a few vacancies. Let's enjoy fellowship, worship, prayer and games with all the New Hope Churches in Japan at the OHANA RETREAT 2015. During Celebration times there will be also a children`s program available. There will be again great food buffet style and the opportunity to enjoy the wonderful Onsen at the hotel. Details and registration here! Hurry, rooms fill up pretty quick! This is a 12-session class on the basics of the Bible. Do you have questions about what Christianity is? Are you a new believer? Do you want to grow deeper in your understanding of your faith? If so, please come and join us! Everyone is welcome! 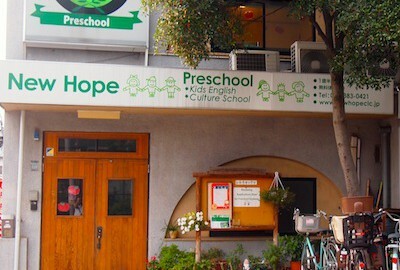 New Hope International School is a New Hope Tokyo ministry that uses education to reach out to children and their families with the love of God and help them to grow. There is an international preschool as well as weekly English classes for kids from 1 to 12 years old. Learn more at www.newhopeclc.jp or call 03-5383-0421. In our August messeage series, we are re-looking at our Core Values. So to refresh your memory, here are our Core Values. In our August messeage series, we are re-looking at our Core Values. So to refresh your memory, here is our Mission Statement. "Our mission is to share the Gospel of Jesus Christ to non-believers to become believers, believers to become disciples, and for disciples to become leaders to go out into the world to guide more people to Christ."